T he one uncertain branch in my Father's family tree book was the Arrick line. In 2006 I began an amazing journey to figure out where we came from. Two years and 2000 hours later I have solid proof that we Arricks are descended from the Orricks that came to Maryland from Scotland around 1650. Genealogy research is one endeavor that allows my acute stubbornness to shine, but it's the only project I've ever had that grows larger as I accomplish more. This research started with my Texas Arrick family, back to TN where the name was Orrick, then to MD and on to Scotland. Other spellings are now proven to be connected - Orick, Arick, etc. The most awesome find is a pension document describing the shooting of my 2ggrandfather John Orrick at the Battle of Shiloh. I'm using Y-DNA samples from various family branches to prove and disprove connections where traditional research is insufficient. Results show connections between many Arrick, Orrick, Orick and Arick lines - and also confirmed 2 suspected non-paternal event lines. DNA testing is the future of genealogy research. yGED is my free on-line paternal GEDCOM (Family Tree) file creator. yGED makes it quick and easy to create a GEDCOM file for uploading to Y-DNA databases such as Y-Search. The result is more family tree connections and brick-wall breakthroughs. Thanks to my good friend Jim Brown for helping with the scripts. I find it distressing to see old photos for sale as decoration. They should be returned to family or researchers. But, since God only gave me 24 hours each day, I restrain purchases to 1 per sale, and only those with names written on them. One day, someone will do the same for me and the cosmic genealogy circle will be complete. I found this old photo album at an antique store and it was so remarkable I had to buy it. The pictures are old (Some are tin-type) and many have names written on them. There's even a lock of hair! 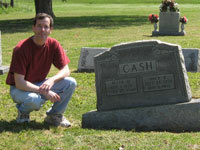 Here's a DIY article showing how to build a grave poker to reveal mystery gravemarkers that may be hidden right under the surface. You don't have to be a building contractor to construct the grave poker, you just have to be determined to find those secrets! An article based on my observations of various genealogy forums and family tree web pages showing how human hunting/gathering instincts manifest themselves in modern genealogy research styles. All work and no play makes for a boring life, so here's my contribution to genealogy researcher sanity. 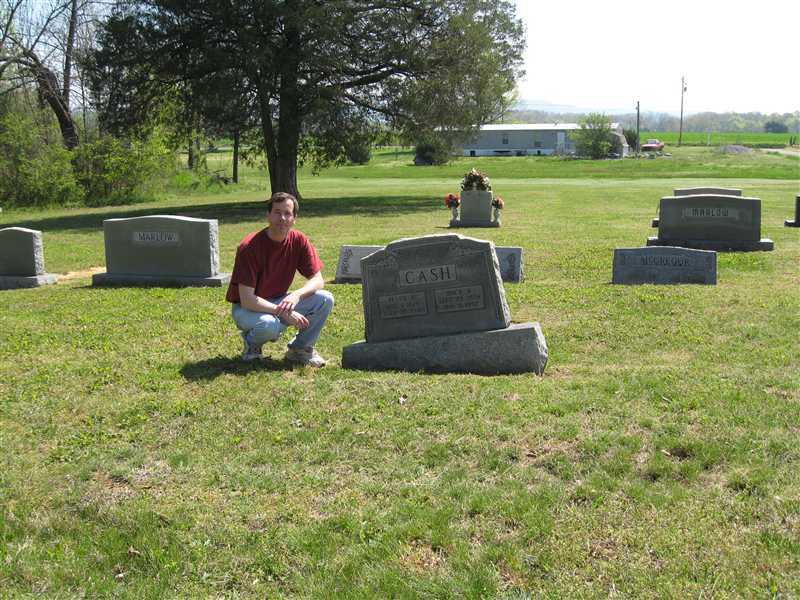 My photo of the Maxwell/House graves made it into the September 2008 Family Tree Magazine.